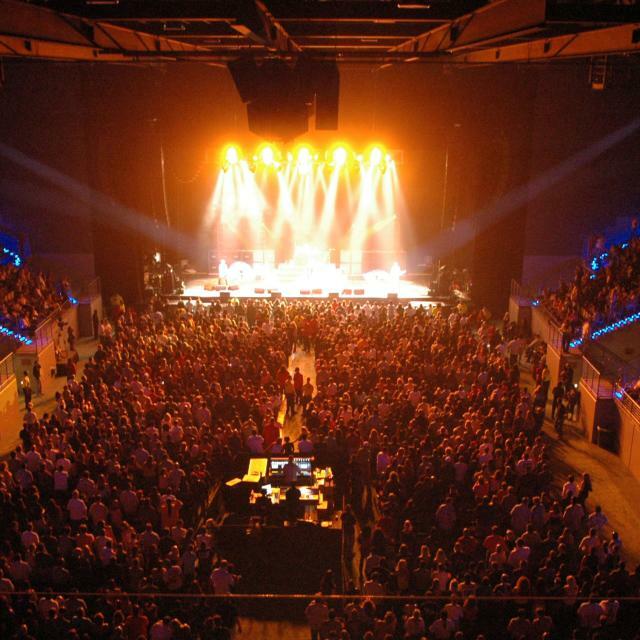 Whether you’re hosting up-and-coming indie bands or putting on a show for the biggest headliners requiring the grandest stages, Greater Fort Lauderdale has the ideal concert venue for your musical event. Outdoor pavilions, spacious performing centers, intimate general seating clubs—the area has it all! Greater Fort Lauderdale plays host to a variety of energetic clubs that can host intimate gatherings or large events. Venues like Revolution Live offer the space for general admission shows of up to 1,300, with the benefit of a fully stocked bar, balconies, and a VIP mezzanine. You can book your own private event for a special occasion complete with food, beverages, staff, and musical entertainment. When it comes to evoking that rock ‘n’ roll atmosphere, nobody does it better than Seminole Hard Rock Hotel & Casino Hollywood. In addition to a stunning array of meeting rooms, guest rooms, suites, and even a 16,000-foot grand ballroom, this venue boasts fine dining, bars, restaurants, and casinos, all surrounded by authentic rock memorabilia. Make the most of the natural splendor of South Florida by planning an outdoor event complete with live music. Greater Fort Lauderdale features beautiful, spacious parks and pavilions that take full advantage of the Florida sunshine, lush grass, and the occasional ocean breeze. Markham Park features a 23-acre, special event field with enough space to host a festival for up to 60,000 music lovers. Encompassing a total of 666 acres, the park has paved roads and plenty of parking for attendees. Trees and a series of interlocking lakes throughout the park provide a lovely backdrop to any concert. Meanwhile, ArtsPark at Young Circle features everything necessary for a top-notch performance. The outdoor amphitheater is enhanced by amenities such as sound systems and theatrical lighting. Set among picturesque African baobab trees—grand giants that provide shade and habitat to local wildlife—ArtsPark combines visual appeal with performing arts capabilities. In search of creative venues with a vibrant atmosphere? Consider reserving one of the spaces at FATVillage in the downtown warehouse district. Home to artists, innovators, and entrepreneurs, FATVillage offers sublime settings for corporate events, weddings, or musical events. Whether you’re looking for vast warehouse space or a cozy gallery with eccentric flair, FATVillage provides a unique ambiance and eclectic visual style, the perfect accompaniment to any musical performance. If you have a epic event in the works, Greater Fort Lauderdale has the high-capacity venue to meet your needs. The BB&T Center has hosted some of the biggest musical acts in the world and is home to the professional Florida Panthers hockey team. The center provides an expansive, state-of-the-art facility with comfortable seating and fantastic acoustics. The center is also an excellent venue for catered events serving 30 to 500 guests. Located in the Entertainment District, along the New River amidst restaurants, galleries, and museums, the Broward Center for the Performing Arts is an epicenter for high culture. The center’s Au-Rene Theater serves as an ideal location for theatrical performances and large-scale concerts of the jazz, symphony, or orchestra variety. Of course, rock and pop concerts are equally suited for making the most of the world-class theater.